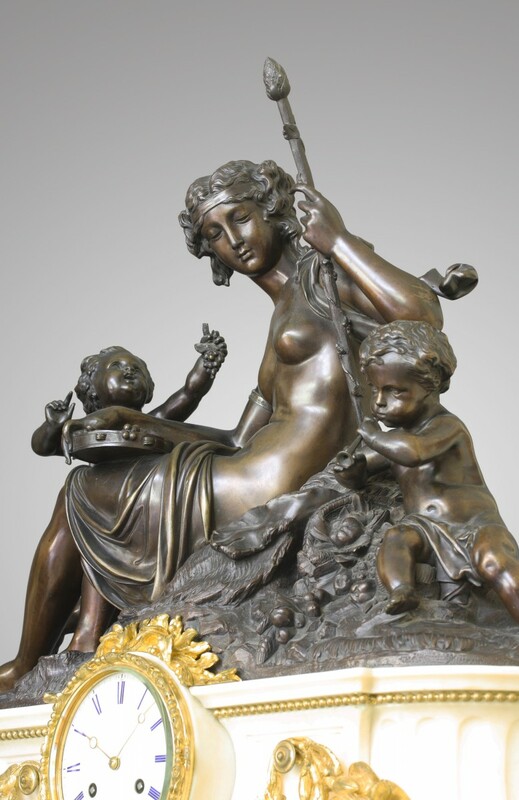 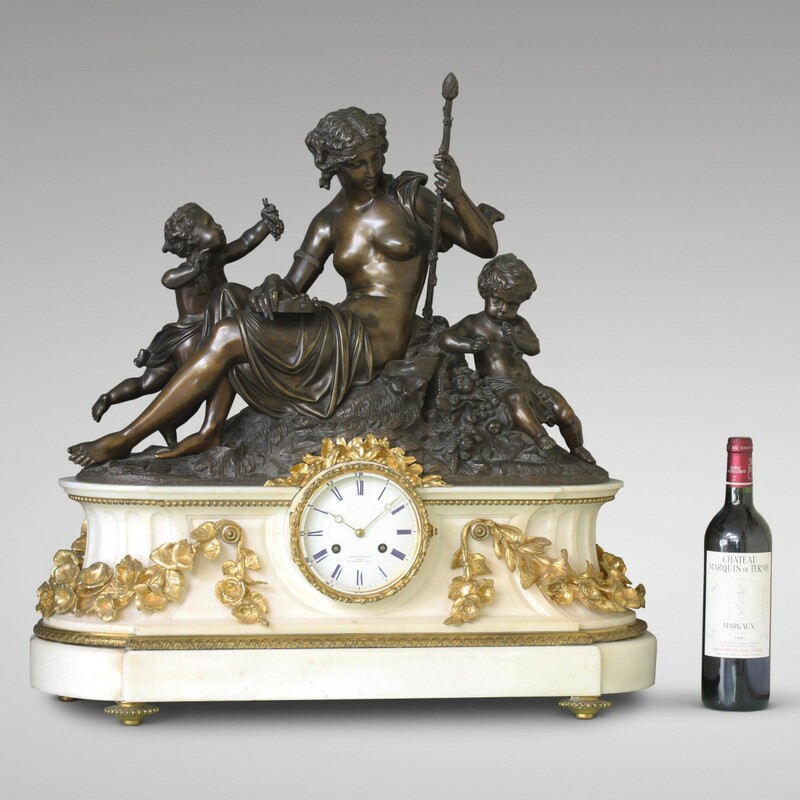 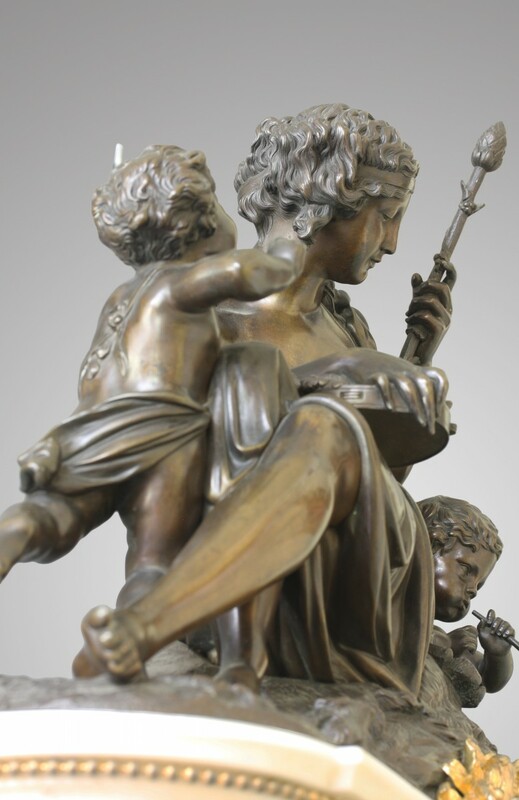 Large patinated bronze group with a sitting bacchante and two putti, one offering a bunch of grapes and the other playing a flute. 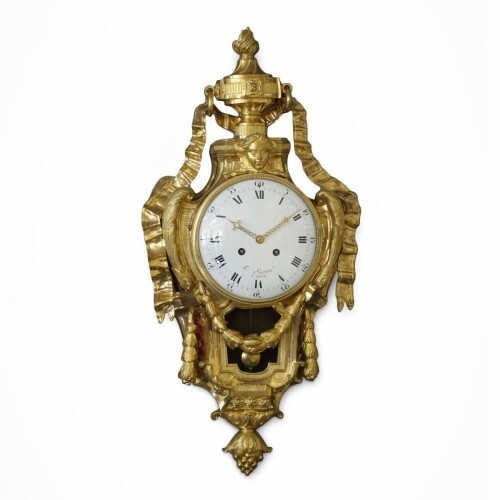 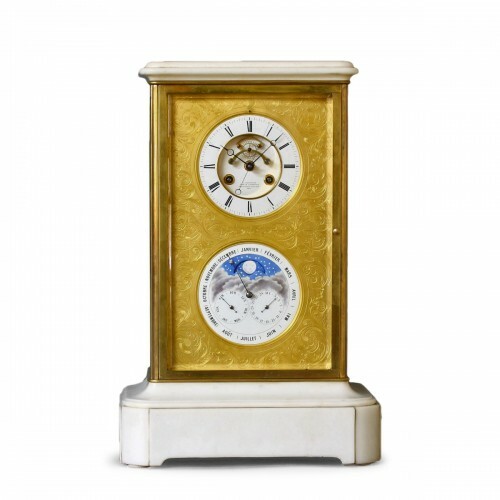 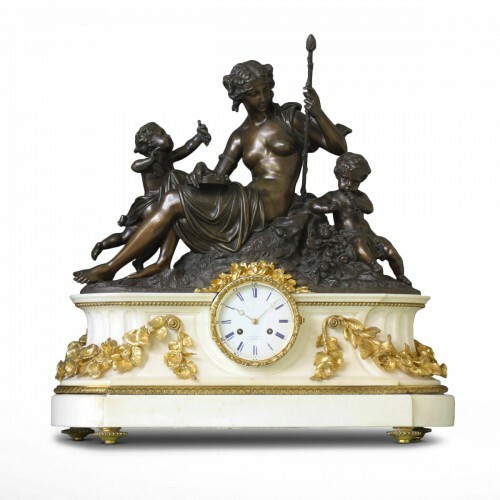 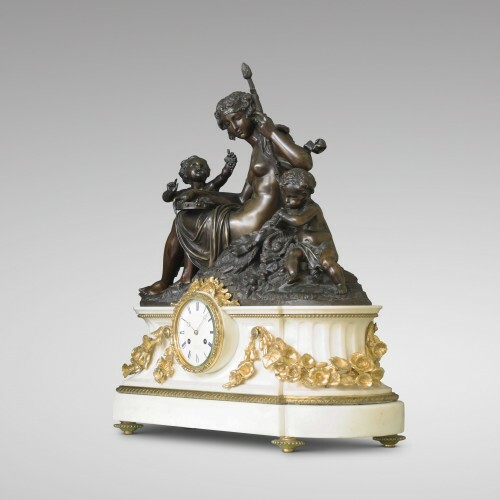 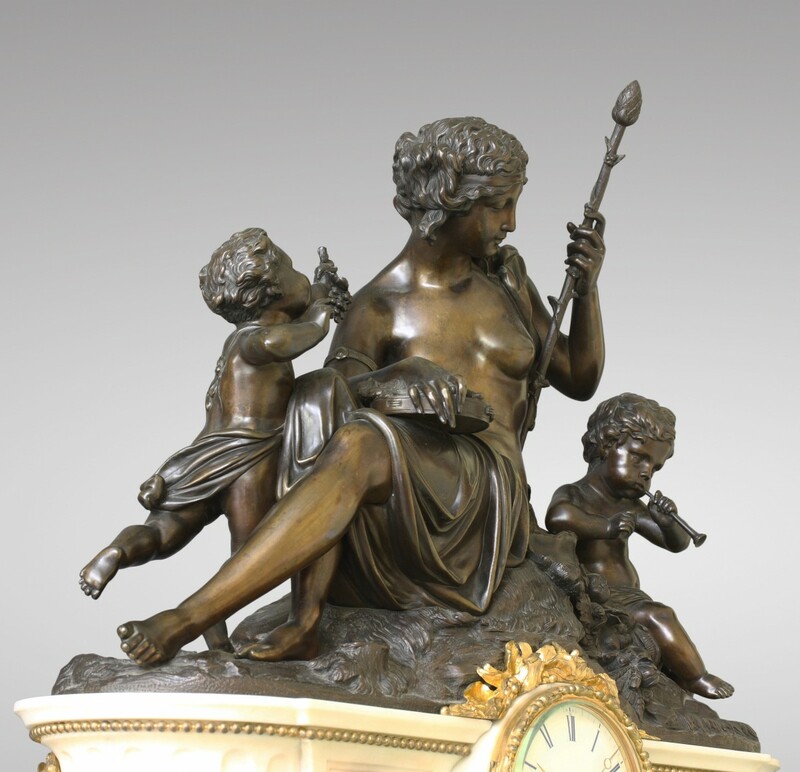 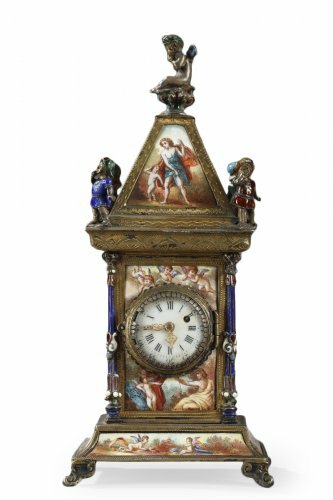 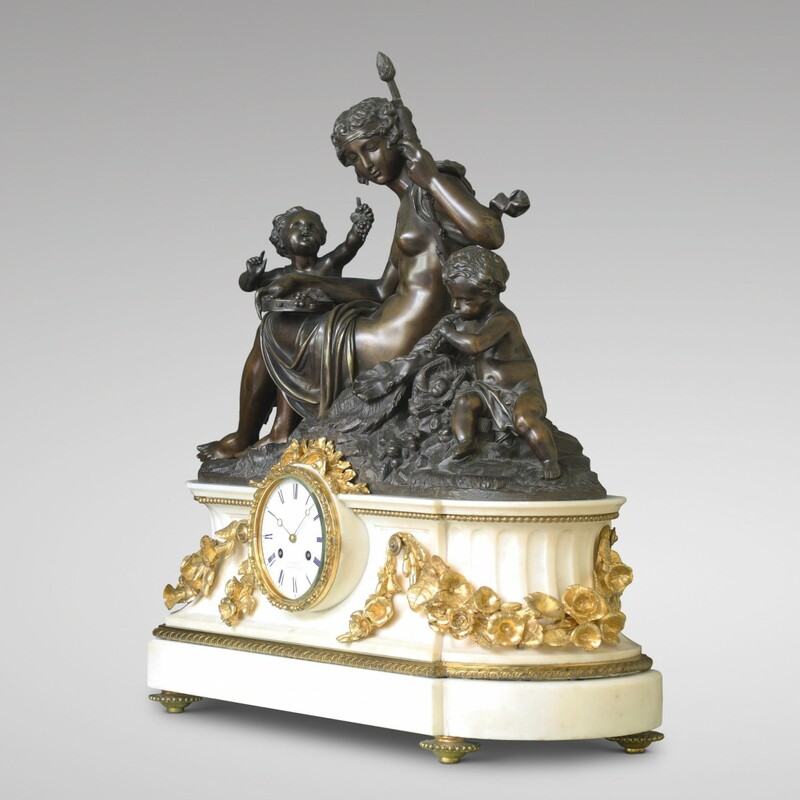 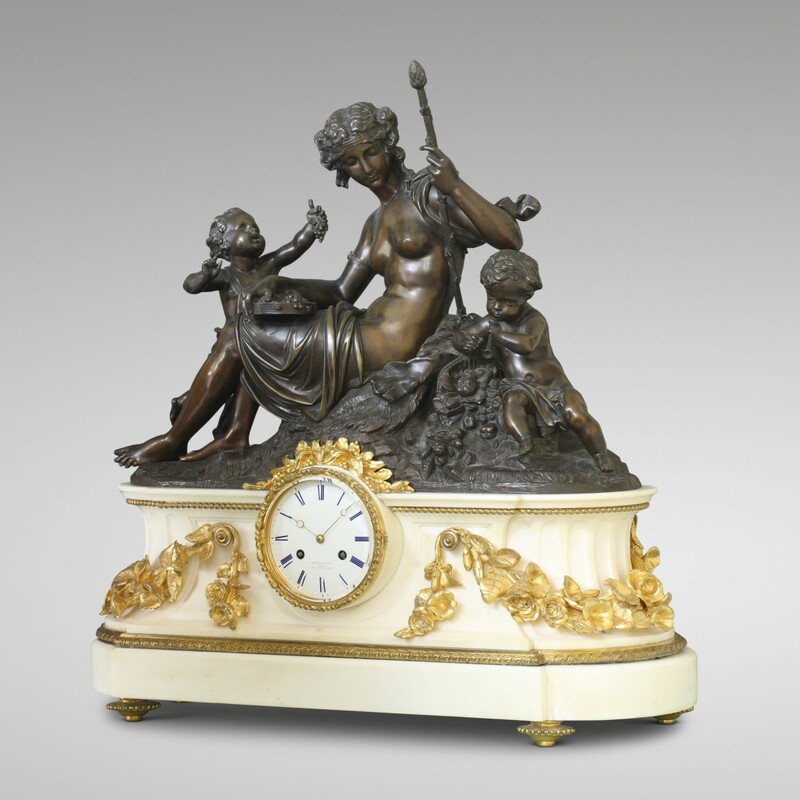 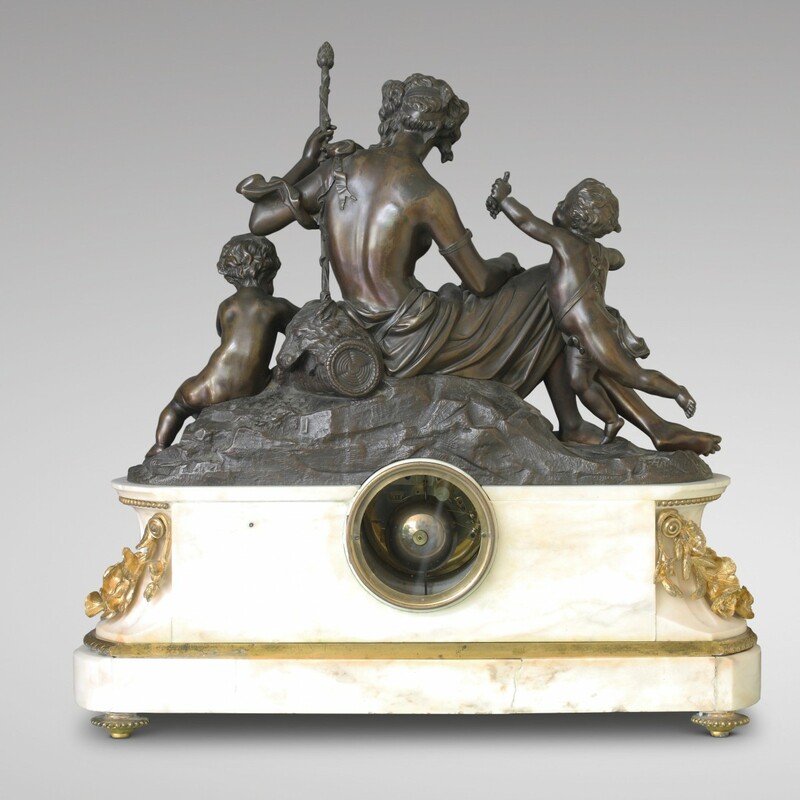 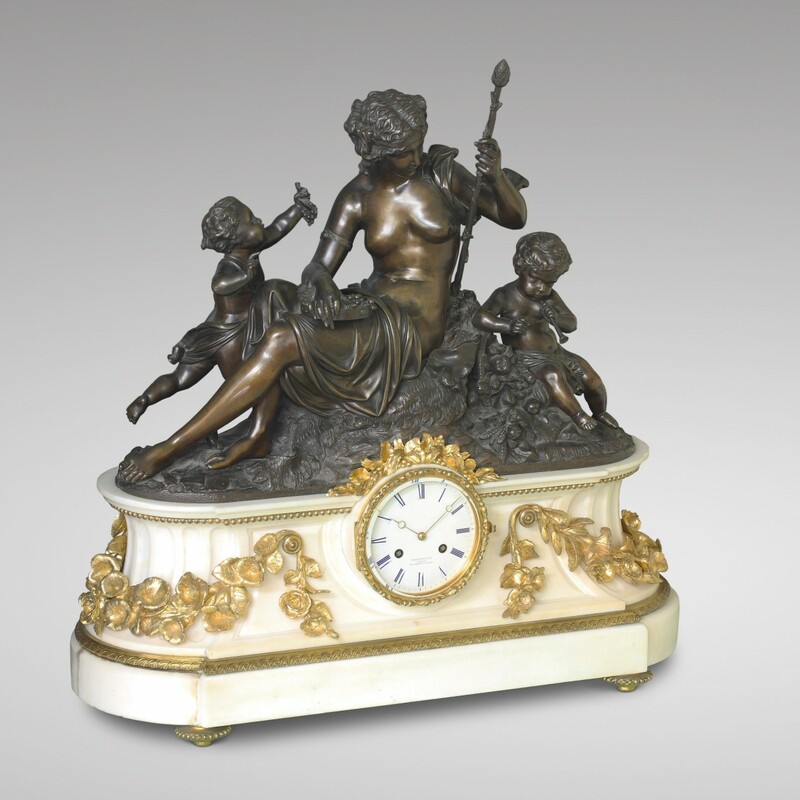 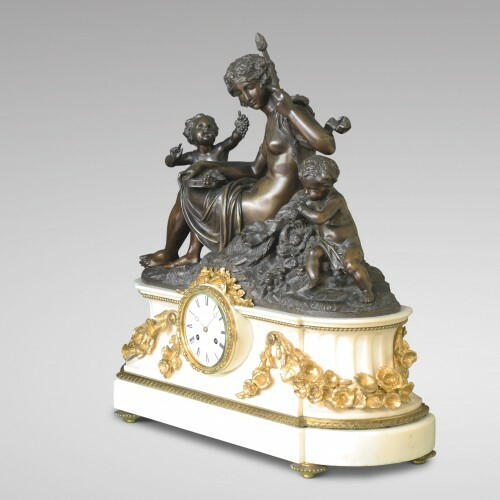 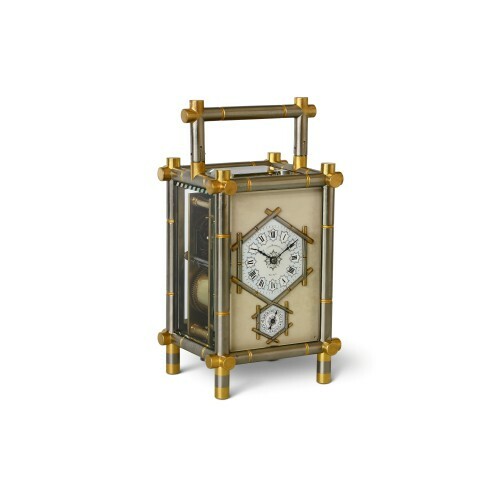 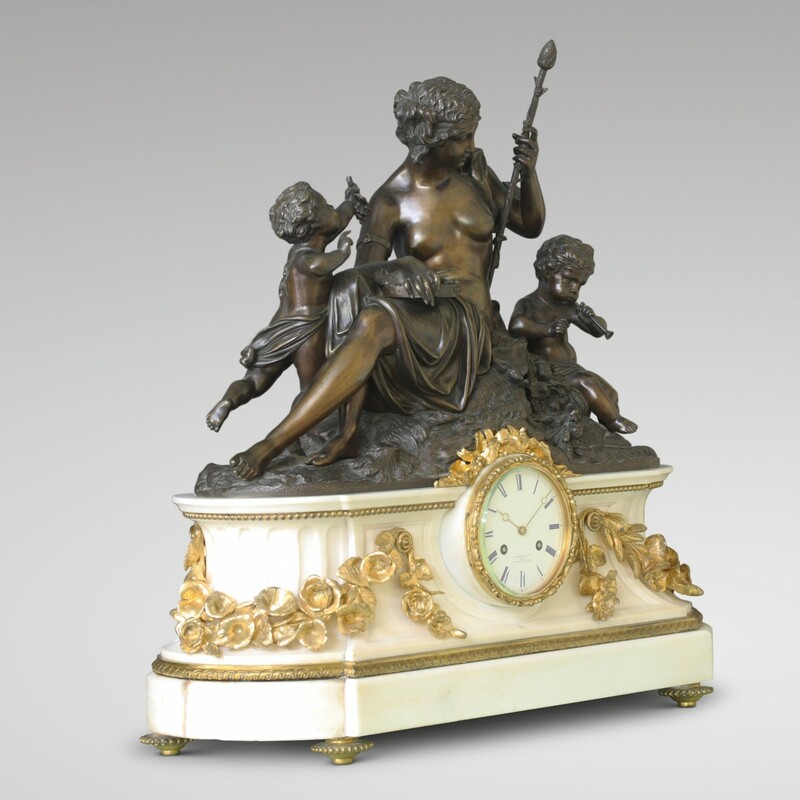 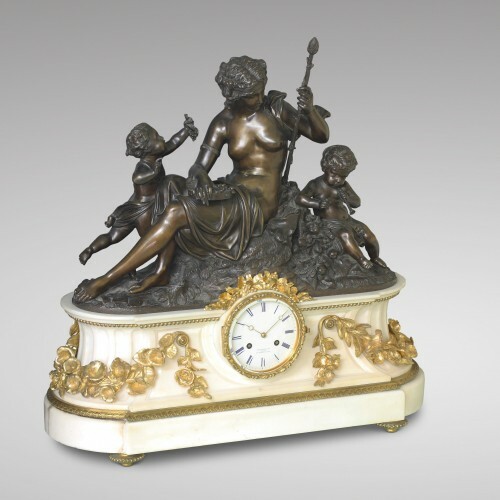 Imposing white marble base decorated with gilded flower garlands on four ormolu toupee feet, with an enamel dial showing blue Roman numerals and signed Charpentier & Cie/bronzier/Rue Charlot à Paris. 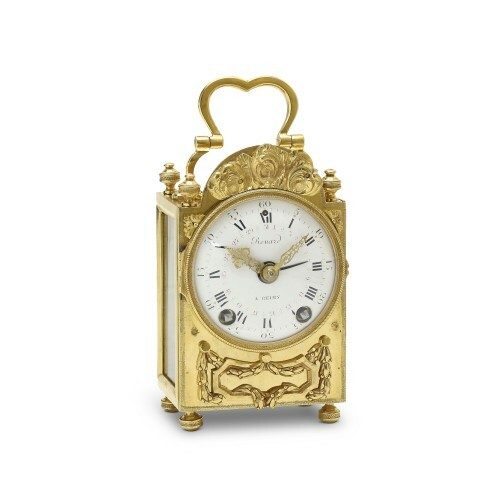 French movement with two barrels to be wound weekly. 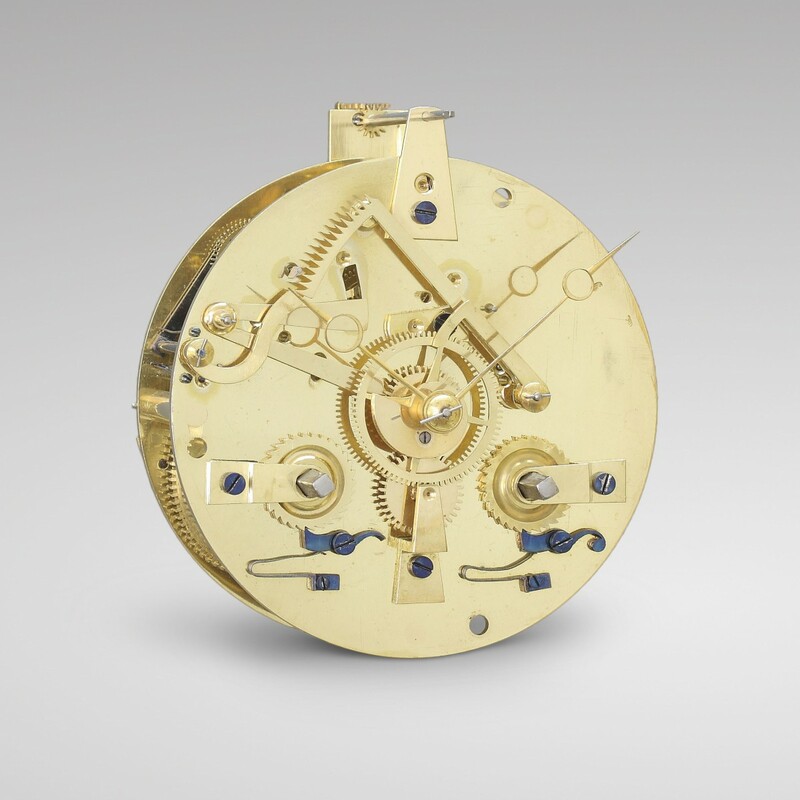 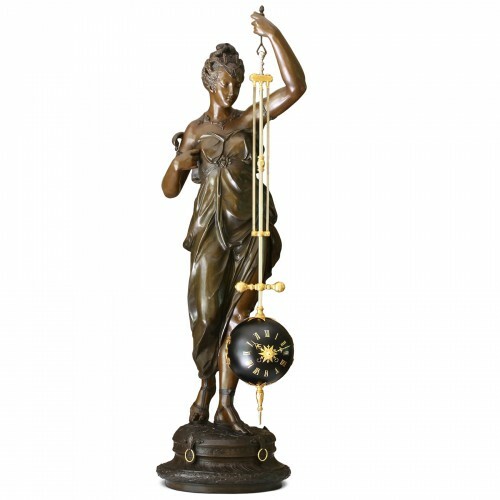 The left one for the half-hourly rack strike on a bell, the right one for the movement with Brocot escapement and suspension. Finely cut gilt brass hands. 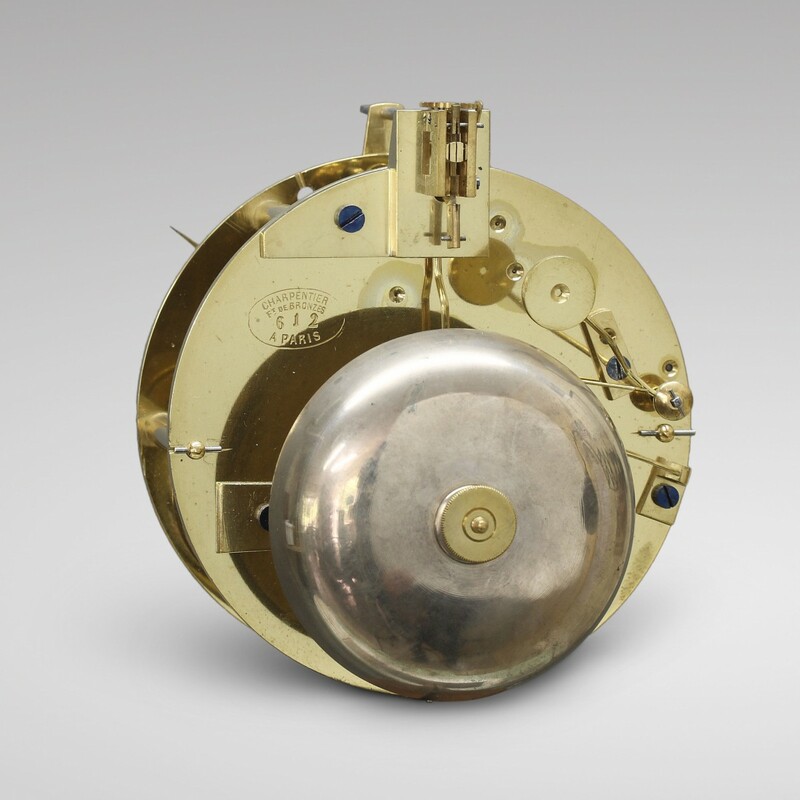 Stamp on the rear of the movement Charpentier, Ft de Bronzes à Paris and numbered 612.